Play Mokuseiderz with your own story created in your mind. We are looking forward to be shared the story by you! Born in the location nearby latitude 35.115171 and longitude 136.89041 about a half century ago, Mr. Suzuki established RINKUL after he moved and hung around for a while at latitude/longitude 43.722174 and 142.415624. 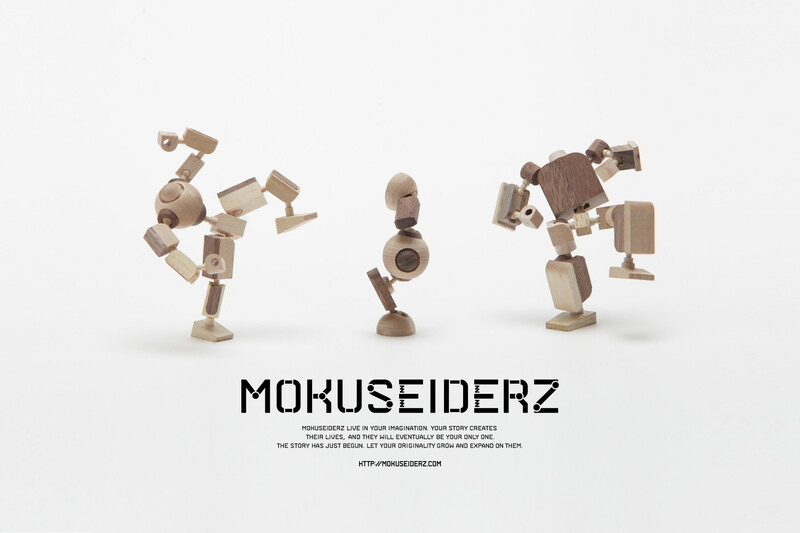 Mokuseiderz is a kit to enjoy assembling. Owners are going to put together the elaborately shaved wooden parts with special glue in order to build each Mokuseiderz. Mokuseiderz are built at somewhere in the heart of the Northern region of Japan. Mokuseiderz are partially made of broken drum sticks.